It’s no secret that truffles are wondrous things. They are less than beautiful knobs of underground fungal growth that grow among the roots of trees. As with many foods I often wonder about the first person who thought eating truffle was a good idea. For sure they would have seen the marks of wildlife foraging for them in the woods or maybe even smelled their woodsy cloying scent as they walked through the forest on a boar hunt. Once that first truffle was foraged by humans there was no turning back. It’s no small wonder why these prized fungi are loved the world over from locals, to collectors, chef, and connoisseurs. I’ve yet to meet someone who doesn’t love truffle. 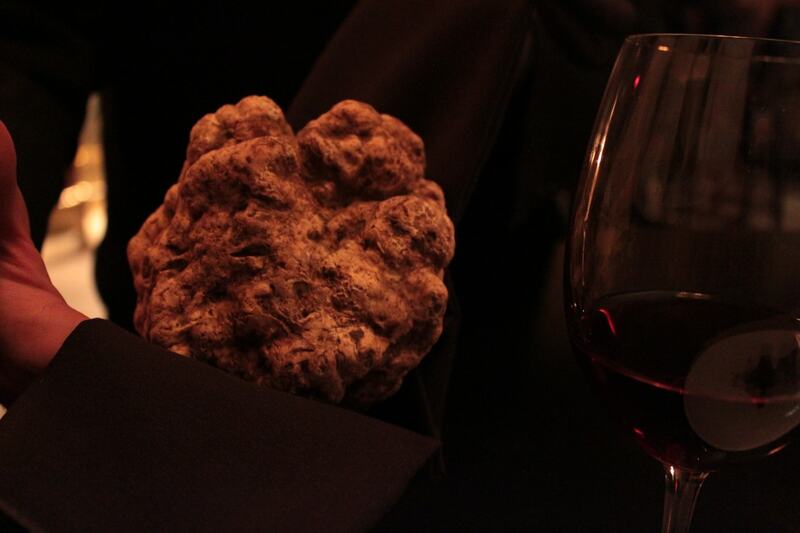 You never forget your first truffle experience. Mine was while we were living in Perth, Western Australia at the annual Mundaring Truffle Festival (July 2010). The festival was started to showcase the Perigord truffles grown in Western Australia at The Wine and Truffle Co. (in Manjimup) to the people of Perth and surrounding area. I was on the edge of becoming sick so we had almost cancelled but I’m so glad we went. Even on the threshold of losing my sense of taste I could still enjoy the many dishes we tried. Truffled chips and arancini, pork truffle sausages on a bun, baked brie with layers of truffles, steamed egg tart (infused with truffle), apple tarte with truffle crème fraîche, and my absolute favourite smoked boar hock and potato soup. It felt amazing on my sore throat and seduced me with it’s unctuous top layer of truffle oil dotted with bits of shaved truffle.It was pure heaven in a bowl. 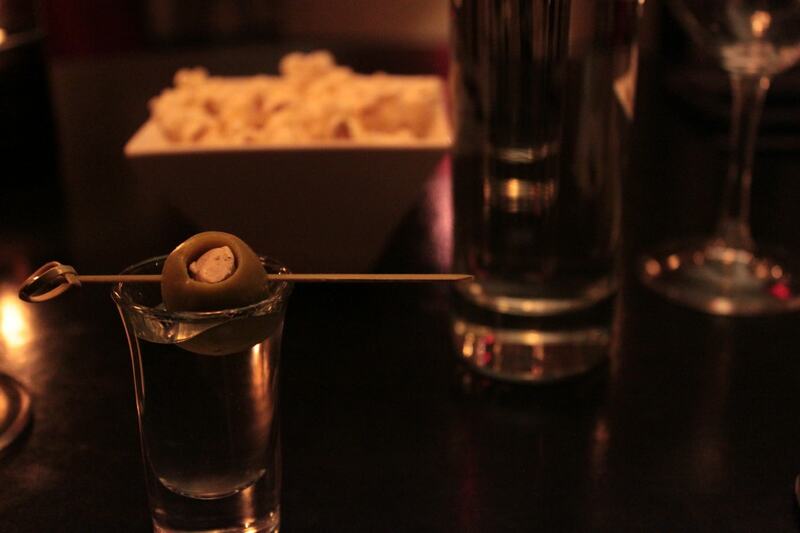 We started the evening with a Double Cross vodka martini. I don’t eat olives (even those stuffed with blue cheese and truffle) but I did taste a smidgen of truffle in my naked vodka. I opted for the accompanying wine pairings and was not disappointed. When our server poured out the first glass of Elvio Cogno, Babara D’Alba she saw my eyes light up (and the thirsty look on my face) and made sure to caution me that it was to be paired with both the Chef’s Amuse and the cold appetizer. She did take pity on my and added another splash later on. This wine made me sit up and take note, the sommelier definitely meant business with these Northern Italian pairings. The Elvio Cogno, Barbera d’Alba was also great with the truffle popcorn which I nibbled on in between every course. I made a mental note to make my popcorn like this from now on. The kids are going to go nuts for it, especially kid number one who was so sad when he found out only hubby and I were going to the truffle fest. I wouldn’t be surprised if kid number one was a truffle pig in a previous life. Our courses throughout the night arrived within a relatively short time frame of each other. That is not to say we were hurried in anyway and maybe time flew because I was trying to absorb so much information at once. Each course was complex and thought provoking. 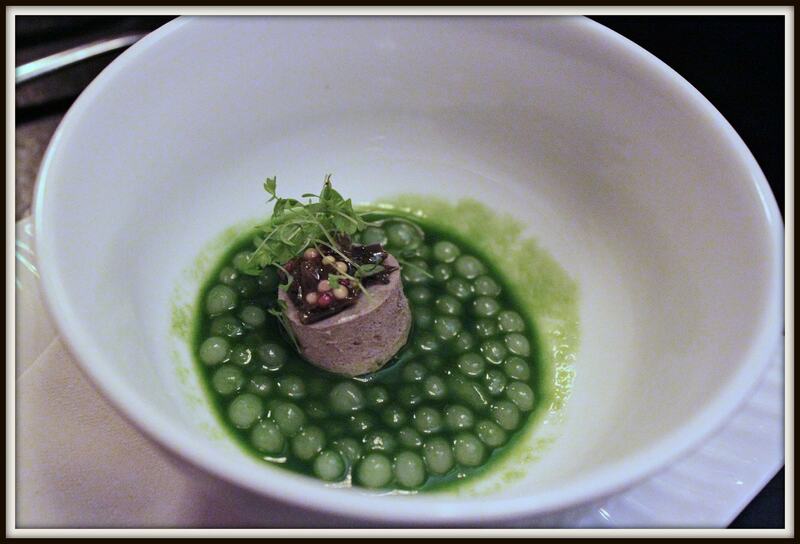 The Chef’s Amuse was an interesting combination of tapioca pearls in a green tarragon and onion emulsion. There was a little brown tower of mushroom pate at the centre of the dish topped with a tiny salsa of onions and mustard seeds. 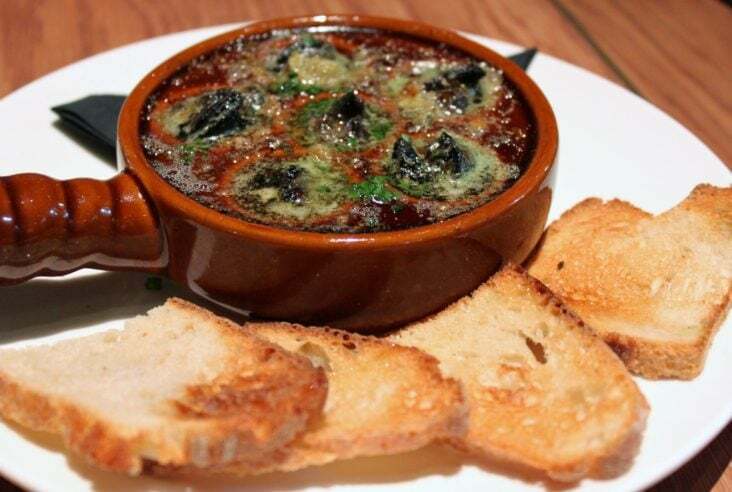 I loved the fresh herb flavour of the the tarragon and onion and the light texture of the mushroom pate. I thought the micro greens really set off the dish and they tasted strongly of celery to me, though the server insisted they were tarragon. I think eating this dish with a fork was a touch aggravating. A spoonful of those pearls with the emulsion would have been much more sensuous and satisfying. For those of you who agree with the famous comedian, John Pinette and think the salad course is only “a promissory note that food will soon arrive”, please think again! Our salad at Muse arrived with lovely blushing greens, porcini and crimini mushrooms, thin black and watermelon radish wafers, pickled radish cubes, a slice of house cured pancetta, and sourdough croutons. Nestled in the centre of this finery was a nice little 63 degree egg yolk. 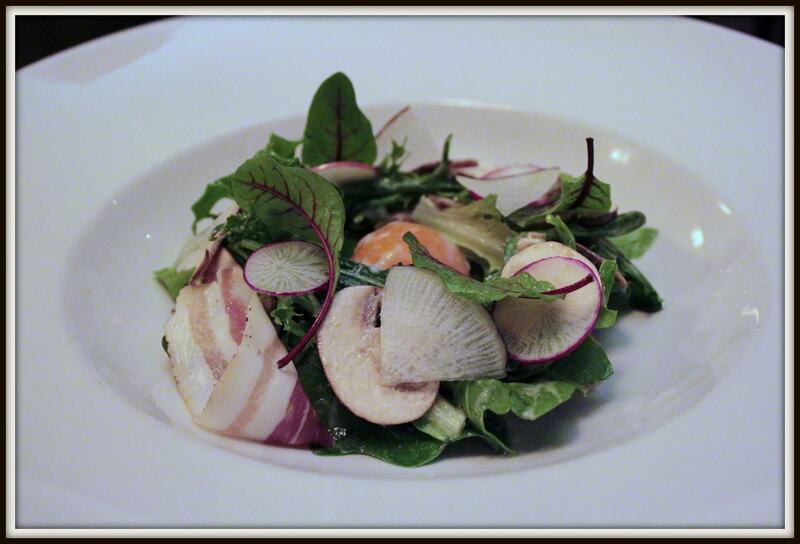 The silky texture of the yolk was brilliant as it coated my mouth and then was cut by the very light vinaigrette. So many places don’t give any thought to what goes into a proper salad and almost never season it. I’m pleased to say this is not the case at Muse. However, we were here for a truffle and mushroom tasting. The mushrooms on this salad were a touch pedestrian and there was no truffle. One relatively easy way to incorporate that truffle taste into this dish would be to infuse the eggs with truffle before they are cooked. If you add a chunk of truffle to an air tight container along with your eggs, the truffle aroma will work it’s way through the pores in the eggshell and the egg will taste of truffles. As you can imagine, these eggs makes the best scrambled eggs you’ll ever have! 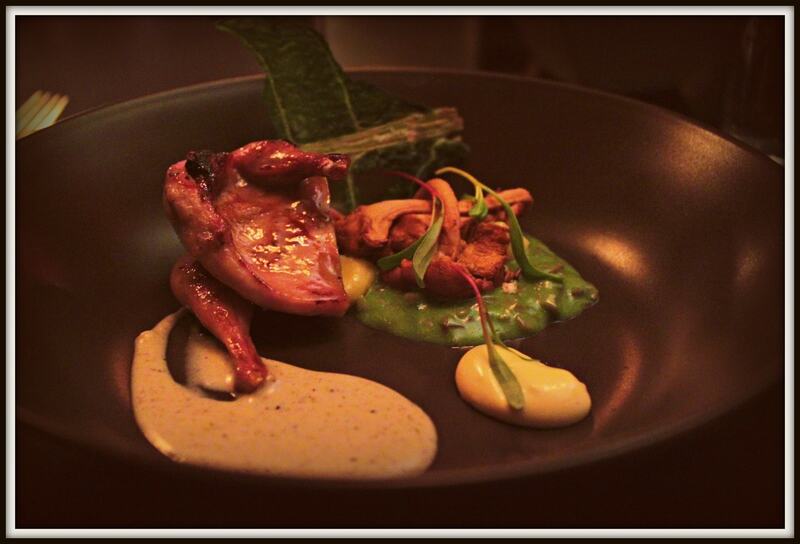 Just as I was about to wonder how the quail dish could be topped, the server arrived to serve me a sparkling Chardonnay Brut (Giulio Cocchi). I was a bit confused how such bold wines could be followed by this particular pairing until I saw the next course arrive on our table. 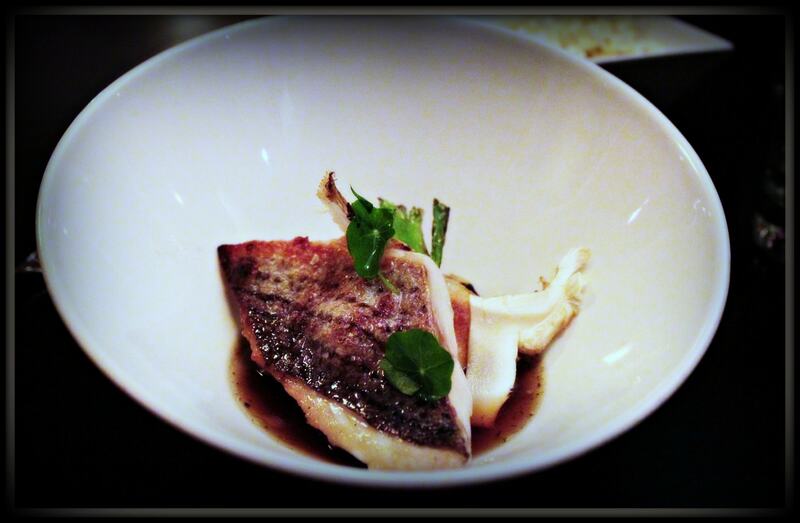 Crispy skin Striped Sea Bass with burnt spring onion, fried chicken mushrooms, and shiitake. Just peeking out from behind the fish was a little dumpling filled with black bean and scallop. Our ocean course arrived in a bowl to which our server promptly added a hot dashi broth. A little table theatre goes a long way and I want to take a moment to say that our server was outstanding. She was well versed in the components of each dish and wine pairing, though she admitted her Italian was a little less than perfect. She was attentive, yet not rushed and very personable. Back to the dish. If I had to say one word to describe this dish it would be ‘Umami’. The crispy skin had a lovely crunch and smokey flavour, yet the sea bass was still moist and tender. And of course the skiitake mushrooms were a great mushroom to put in this dish, having a nice umami of their own….I’m not sure about the chicken mushrooms though because they were little bits cubed and hidden under the fish among the dashi. I couldn’t distinguish their flavour. The sparkling chardonnay went well with the umami theme. 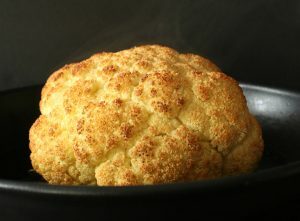 It was easy to see why so many have claimed this dish as the favourite from the whole tasting menu. 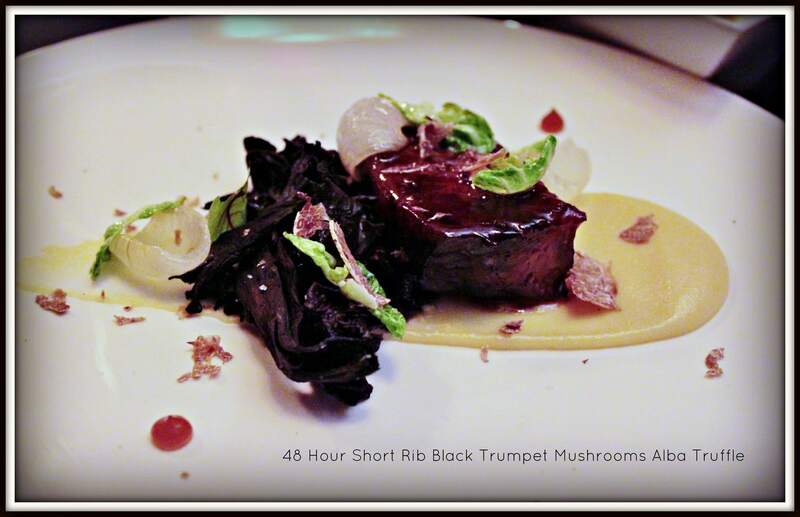 48 hour short rib, with beautiful black trumpet mushrooms, cippolini onions, brussel sprout leaves, pomme puree, and as you can see, finally some of the beautiful Alba truffle! When I cut into that short rib it felt like butter and the whole dish was quite comforting until I bit into the black trumpet mushrooms. These black fungi have long been a favourite of mine, however care must be taken during washing as they have many folds which can trap grit. With each mouthful it felt like I was eating delicious sandpaper. Did I stop? Nope. Hubby noted he had some in his as well and his portion of mushrooms were about a third of what I had on my plate. After we were finished this course we had a nice surprise…owner Stephen Deere came by with the star of the show. He offered to let me hold it but I declined as visions of a large truffle rolling around on the floor and the ensuing mayhem filled my head. 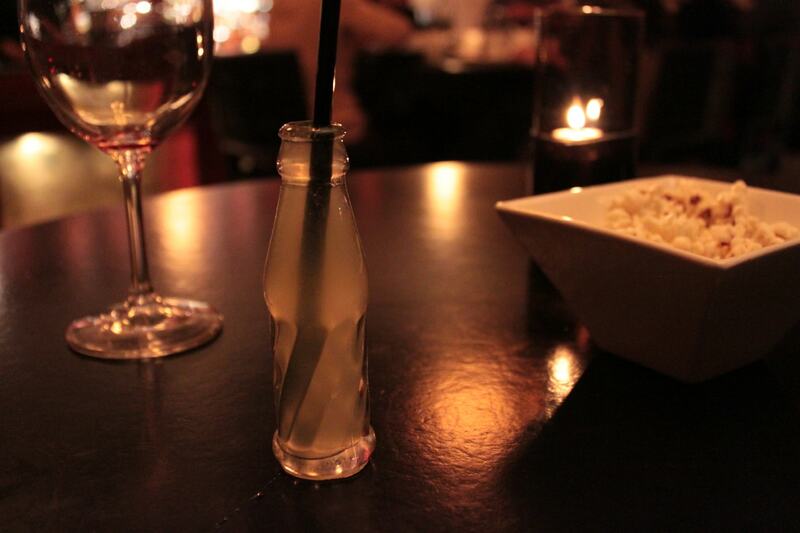 After we had recovered from truffle shock our server arrived with a ridiculously tiny soda bottle filled with house made apple soda and meant as a palate cleanser. I got a kick out of watching hubby pick it up as it looked so small in his hands. You’ll note that my wine glass was empty and I didn’t have to wait too long for it to be filled with a delicious Elio Altare, Langhe Nebbiolo. Soon after that our cheese course arrived. 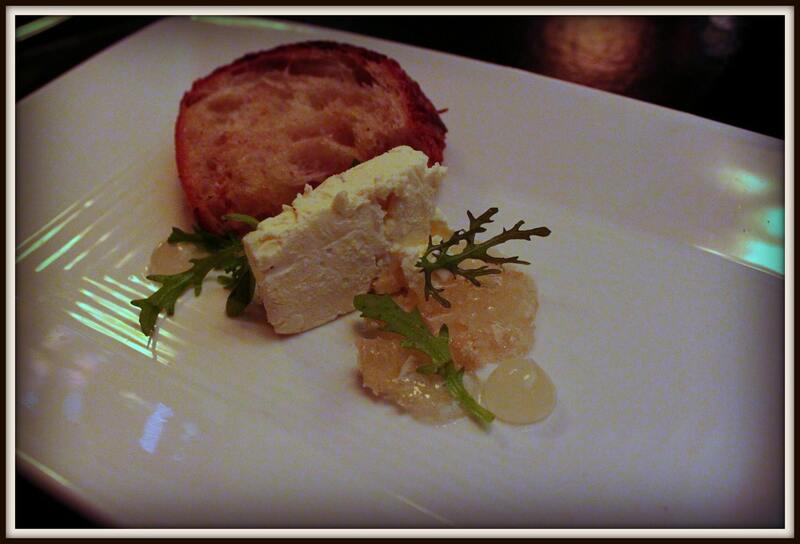 I was very pleased to see Brie with truffles and I absolutely loved the lemon curd with honeycomb. And everything on top of delicious sourdough from Sidewalk Citizen Bakery. I couldn’t help but wish for some chanterelles on top of that honey. I love chanterelles and honey, it is a superb combination. Speaking of superb combinations, I really felt that the cheese course had the best wine pairing. I did get my wish for more chanterelles with the final dish of the evening. Ever had chocolate and mushrooms? I’m still a bit on the fence about this one as there really was a lot going on in this dish. Chocolate ganache topped with salty crunchy bits, dehydrated meringue , burnt lemon sorbet and gel, and two lovely squares of caramel flan. Those caramel flan were delicious! 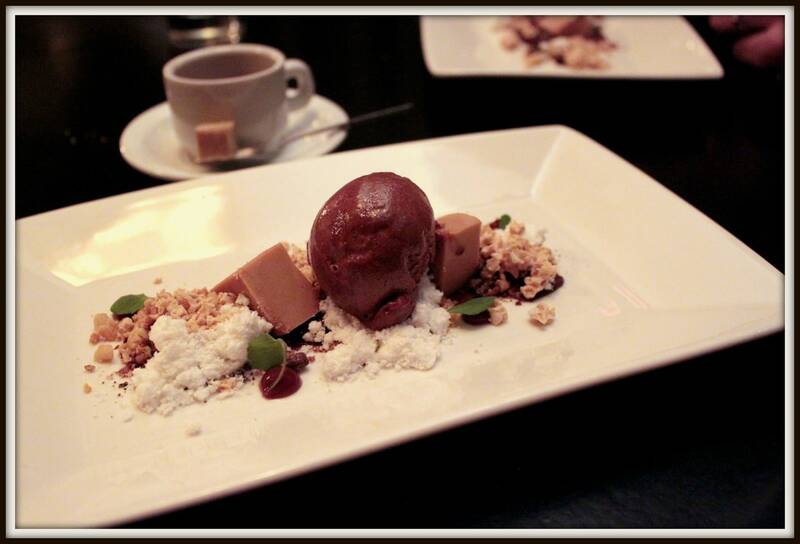 We enjoyed this last dish with a Caffe Coretto; a nice shot of espresso mixed with Grappa. Overall we left the restaurant with smiles on our faces. There were some bumps in our courses; missed ingredients, plating inconsistencies, and questionable prep with the mushrooms but kudos to Chef Pedhirney for such an ambitious Chef’s tasting menu. I will be back for more. The 48 hour beef rib please. Actually, all of it, but the beef rib twice! Wow, it sounds as if you had an amazing experience. My best truffle experience was white truffle ravioli in a tiny alberga in the Chianti hills in Tuscany. I much prefer the white truffle to the black! Oh yum! Italy is definitely on my list to visit….